Digital transformation has had a profound, and on-going, impact on businesses and organisations not least for those in marketing. Digital marketing has revolutionised our industry, providing new and innovative ways to reach prospects and customers, and promote your business or brand. It always amazes me to think that some of the tools we use daily have only been around for a few years. Social media is a prime example; it’s changed consumer behaviour radically in just a decade, becoming widely adopted across multi-generations. Many of our team here at Hyped Marketing are in their early 20s and don’t really remember a time before Facebook, whereas those of more mature years often wonder how on earth we did marketing before! Although still relative newcomers, social media, email campaigns, PPC, etc. are all mainstream marketing activities that few business and organisation can ignore. However, there are other digital innovations that are also gaining traction, providing new ways to do business and providing opportunities to reach new customers. Blockchain technology is one such innovation: a digital open ledger that is providing a transparent and secure way of recording data. Perhaps the most famous application for blockchain technology at this time is Bitcoin, the cryptocurrency. I’ve been watching this particular innovation over the last few years and seen it increasingly rising in popularity. 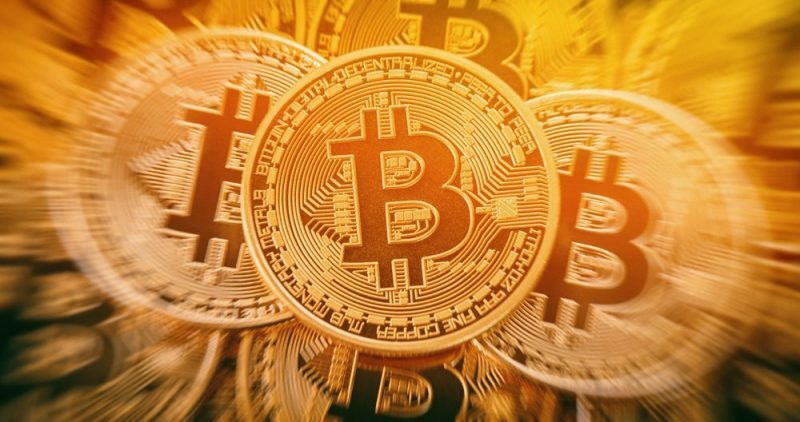 Initially Bitcoin was viewed as a bit of a black market currency, but in the last couple of years adoption rates have soared and prices have increased substantially. While not yet mainstream like social media, I don’t think Bitcoin is going to be a flash in the pan. Even with the recent dip, or ‘correction’ of 11%, many financial commentators are putting this down to a stabilising affect in the market with the uptrend still intact. If like me you are an early adopter of new digital technologies, you may already be making payments in Bitcoin. Here at Hyped Marketing we’ve recently started accepting payments with this cryptocurrency. Now I know that only a fraction of the population currently use Bitcoin and the focus has been more on B2C payments rather than B2B. But there are key advantages in offering Bitcoin for B2B payments, not least cost and speed. Compared to conventional payment methods, like wire transfer, Bitcoin is super-fast and this is especially true of international payments which can take up to a week using conventional methods. Transaction costs are also low compared to those traditional payment methods, the process is simple and therefore costs can be kept to a minimum. I don’t expect that we will be doing much business in Bitcoin this year or next but in the future, who knows? Those early adopters using Facebook and other social media channels for business before they became mainstream, have managed to build strong brands on these platforms which many others are now trying to emulate. These consumer-focussed digital technologies – for example social media platforms originally designed for students to communicate on, or cryptocurrencies developed to enable peer-to-peer payments – provide many opportunities for businesses too. From a marketing perspective accepting Bitcoin payments could not only provide your customers with a convenient way to pay, but also build interest in your brand. Accepting Bitcoin highlights that your business is forward-thinking, innovative and embraces new technologies. This is likely to attract other early adopters and younger demographics. The blockchain ledger also has scope for tracking user data and insights, without compromising data security. This technology can provide your marketing team with a range of anonymised data which can be used to support marketing activities. Moreover this offers your customers increased privacy and builds trust with your brand.